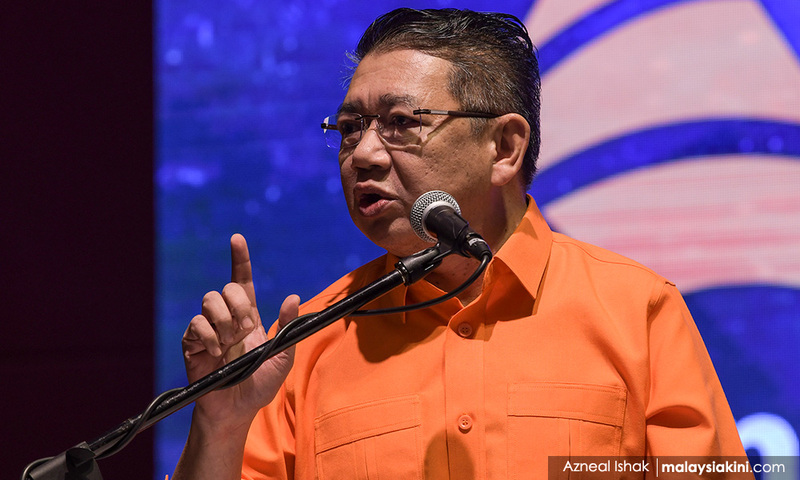 Amanah's rahmatan-lil-alamin philosophy is what separates the party from PAS and the reason it is getting up to 10,000 membership applications every month, Amanah deputy president Salahuddin Ayub claimed. However, he stressed that the party would not be complacent and would move forward by learning from PAS and rectifying any mistake. "However, that does mean we can be complacent. I will ensure that we move forward by learning from PAS, work to rectify any mistake now and ensure that Harapan remains strong," Salahuddin said in an interview with the Malay Mail. Rahmatan-lil-alamin is a concept that translates to "blessings for all" adopted by Amanah in its attempt to portray a more moderate Islamic approach. Amanah was set up in 2015 by former PAS leaders, including current Amanah president Mohamad Sabu and Salahuddin. In the interview, Salahuddin urged Malays and Muslims to think of the political narrative promoted by the current opposition, comprising PAS and BN, which he described as being a blatant disregard of the government's push for fair play. He said Amanah is not out to show the strength of its religious belief or to demonise the beliefs of others. Malaysians, Salahuddin added, should not let their differences in religious and racial backgrounds cloud their mind in building a future based on mutual respect. "We need to educate people about new politics as the narrative has changed from the old narrative. "We want Islam to be implemented in a nice way, but Malays must be a good example in terms of your cleanliness, your approach, your attitude so that the non-Muslims will respect you and vice-versa,” he was quoted as saying. On fears of the Malays and Muslims that Islam would no longer be relevant under the Harapan government, Salahuddin attributed the group's paranoia of losing their special rights to narratives peddled by the opposition, which portrayed the ruling coalition as anti-Islam. The sense of insecurity was unfounded and it was exploited by Harapan critics, he added.